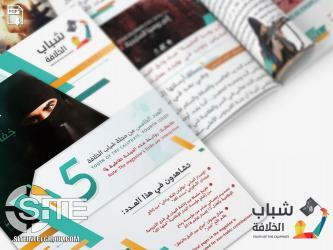 Drawing its content from articles, posters, and videos from the past month regarding revenge for the New Zealand shootings and promotion of Islamic State (IS) fighters in Baghuz, Syria, the 7th issue of the IS-linked "Shabaab al-Khilafah" (Youth of the Caliphate) magazine echoes the call for attacks in the West. An Islamic State (IS/ISIS)-linked group capitalized on the Canadian decision to withdraw from Mali to incite against other Western nations present in Africa. 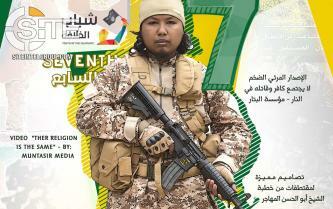 The publishers of the Islamic State (IS)-linked "Shabaab al-Khilafah" (Youth of the Caliphate) magazine featured in its sixth issue a user contribution inciting lone-wolf attacks in Bangladesh. An Islamic State (IS)-linked group released a video encouraging supporters to hold firm despite apparent losses, and urged them to join training camps in Iraq. 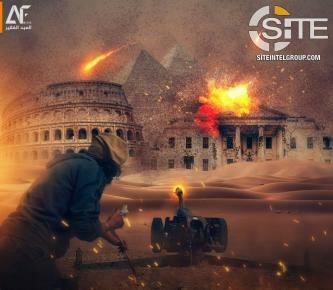 IS-linked Group Depicts Strike on White House and Colosseum in Threatening to "Demolish Thrones"
An Islamic State (IS)-linked group depicted an artillery strike on the White House, Colosseum, and pyramids in a poster threatening to "demolish thrones". In Issue 5 of Islamic State (IS)-linked "Shabaab al-Khilafah" (Youth of the Caliphate) magazine, its publishers boasted of having over 6,000 followers, and featured an article insulting the fighting spirit of American soldiers while commending that of IS military personnel. 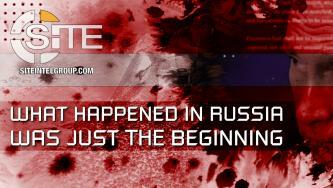 After publishing a graphic warning Russia of more strikes to come following the Islamic State (IS)-claimed bombings in Magnitogorsk, an IS-linked group continued its promotion of the attacks with a video reiterating the warning. After the Islamic State (IS) claimed credit for the apartment building explosion and subsequent bus bombing in the Russian city of Magnitogorsk, a linked group warned Russia of more strikes to come. 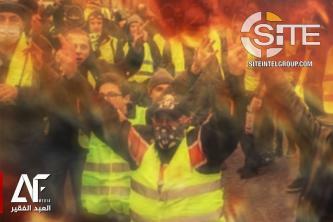 An Islamic State (IS)-linked group urged the French people to end the economic and human costs of its war against the IS and not be "victim" of their "stupid government". 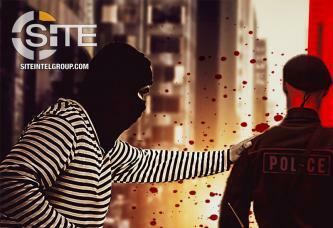 The publishers of "Shabaab al-Khilafah" (Youth of the Caliphate) magazine, a joint project by several Islamic State (IS)-linked groups, released its fourth issue, featuring threats of attacks in the West and ideas for their execution, and an interview with a media representative. 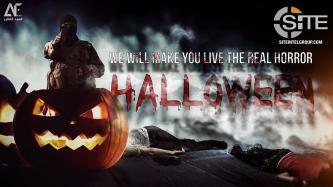 An Islamic State (IS)-linked group suggested attacks using fire as a weapon in a set of posters. 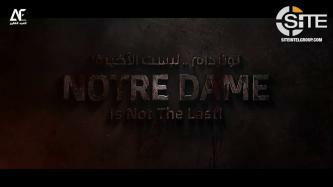 As Islamic State (IS) supporters participate in a campaign to reaffirm their commitment to the group, an IS-linked media unit released a video renewing its pledge to Abu Bakr al-Baghdadi and promoting lone-wolf attacks in Europe. 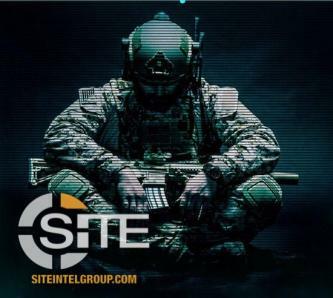 An Islamic State (IS)-linked group bundled incitement posters and threats it and other media units published in November 2018 and featured them in the third issue of its "Shabaab al-Khilafah" (Youth of the Caliphate) magazine. A poster from an Islamic State (IS)-linked group accuses the international community of hypocrisy over the death of Saudi journalist Jamal Khashoggi. An Islamic State (IS)-linked group suggested attacks on police in Australia in a poster threatening strikes to follow that in Melbourne. 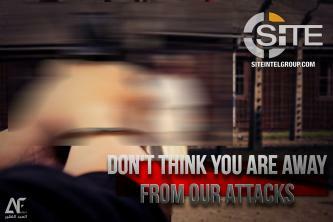 The Islamic State (IS)-linked al-Abd al-Faqir Media Foundation published the second issue of its Shabaab al-Khilafah (Youth of the Caliphate) magazine, featuring in it a collection of incitement posters designed by it and various media units. 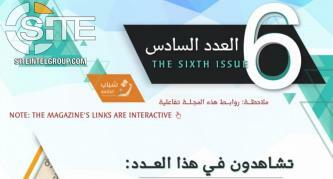 An Islamic State (IS)-linked group announced the creation of a new magazine and solicited supporters to contribute articles.